Welcome to GasFurnaceGuide.com. In our small corner of the web, you will learn more about the gas heating portion of your home hvac system, the furnace! Also at our furnace buying guide, you will discover information about the brands that service the heating system market, as well as professional and owner reviews of the top rated furnaces on our site! In the table below, you will see the top furnaces currently rated on our site. They are rated on the following criteria: Reliability, Cost Efficiency, Value an Features, Manufacturer Warranty, and Overall Satisfaction with the system. 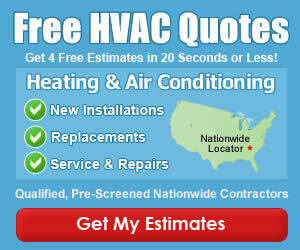 In the Furnace Buying Guides section of our site we have hundreds of detailed consumer guides to buying a new furnace. We cover everything from which furnace features matter the most to your indoor comfort, which systems offer the highest effociency, and several guides to the maintenance, service, repair and troubleshooting of home HVAC systems. Visitors to our site occasionally find the words and phrases associated with home heating and air conditioning to be somewhat confusing. We encourage you to visit the frequently asked questions page to learn more about heating systems and the common terminology used throughout our site. If you still have questions, we invite you to ask questions so we can prepare future content for all to read.